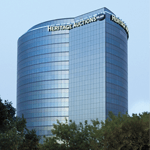 As the fastest growing American-based auction house, financially rock-solid Heritage Auctions continues to grow and seek the best talent in the industry. If you are a specialist or have strong general collectibles knowledge, we want to hear from you. These specialists will, in some cases, head new departments and in others will enhance existing department expertise. We have positions open at our headquarters in Dallas as well as at our state-of-the-art galleries in prime locations in Beverly Hills, Chicago, Midtown Manhattan and San Francisco. We believe Heritage's business model of transparency and respect for our bidders' time is the wave of the future, as clients are discovering us in record numbers (read our Mission and Values statement here ). Heritage has remained profitable throughout the course of our more than four decades in business, building successively on each preceding year. Our sales volume has consistently matched or exceeded that of the previous year, even as other major auction houses have reported sales decreases as large as 60%. See why our employees love working for Heritage. 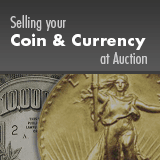 Heritage Rare Coin Galleries, Dallas, Texas is seeking a talented general numismatist for our rare coin department in Dallas, TX. Duties include assisting dealers and collectors and auction consignors in person and by telephone, evaluating prospective purchases in the office and at shows and conventions. Salary commensurate with numismatic and sales skills. Previous coin shop experience a plus. Please email your resume to Jobs@HA.com . If you are interested in a specialist role and feel you have the qualifications we seek, please email your resume to Experts@HA.com.